For Thanksgiving festivities this year, I made/created a Chocolate Kahlua Pecan Pie. 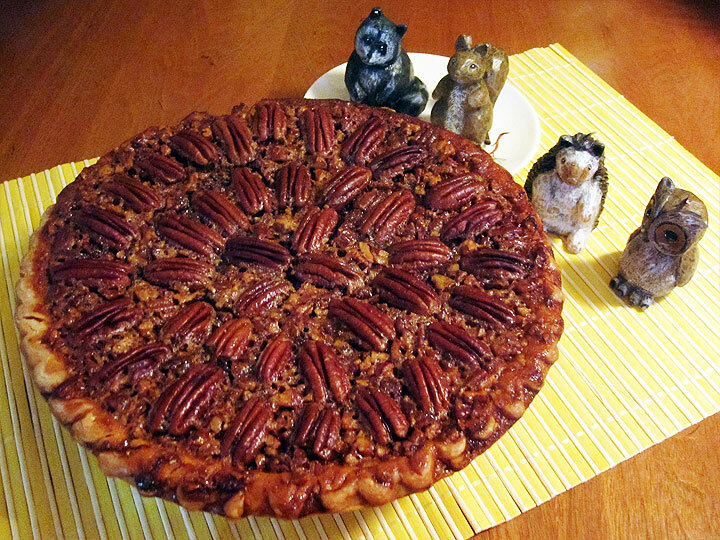 I know some pecan pie lovers are purists and against adding other ingredients to their traditional pecan pie, but I am not. And I love chocolate…and liquor! There’s nothing better to add to a pecan pie to make it even better! Preheat oven to 350°F. Combine sugar, corn syrup, and butter in a small sauce pan. Cook over medium heat, stirring constantly, until butter melts and the sugar dissolves. Cool slightly. Combine eggs, Kahlua, vanilla, and salt in a large bowl. Mix well. Slowly pour sugar mixture into egg mixture, whisking constantly. Stir in chopped pecans. Spread Chocolate Chips evenly throughout the pie shell. Pour mixture into the pie shell. 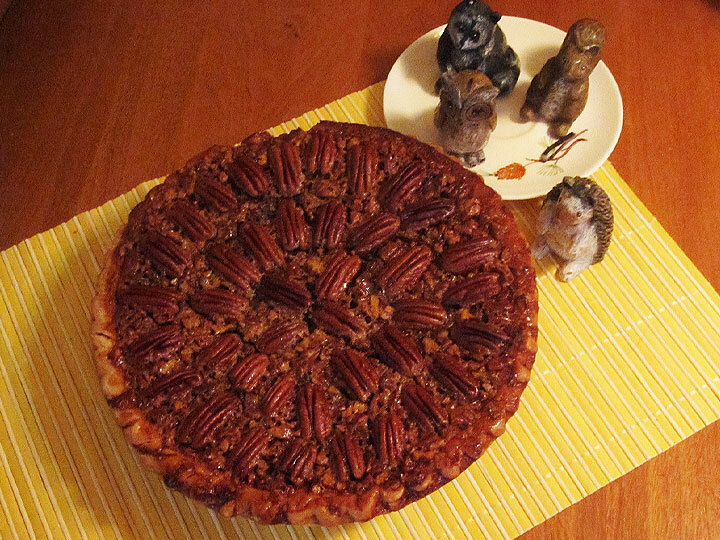 Starting from outside of pie edge, place pecans in concentric circles on top. Bake in oven for 40 to 45 minutes, or until set and golden.